Yokneam, Israel – 29-October-2015 – CompuLab is introducing CL-SOM-iMX6UL System-on-Module – a miniature, highly cost effective ARM Cortex-A7 SoM and the latest addition to CompuLab’s product line of ARM System-on-Modules. 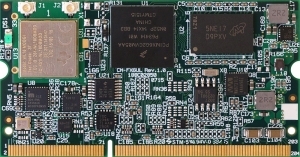 CL-SOM-iMX6UL is built around the new Freescale i.MX6 UltraLite System-on-Chip – a high performance, ultra-efficient processor featuring an advanced implementation of the ARM Cortex-A7 core. The SoC is coupled with up-to 1GB DDR3 and 32GB of on-board SLC NAND or eMMC storage. Featuring a rich set of embedded interconnect interfaces with 5x USB ports, 8x UARTs, 2x CAN bus and 78x GPIOs, CL-SOM-iMX6UL is a versatile platform for industrial control and automation systems. Measuring only 36 x 68 x 5 mm, CL-SOM-iMX6UL also provides on-board dual-band 2×2 802.11a/b/g/n WiFi and Bluetooth 4.1. Low price makes CL-SOM-iMX6UL an ideal selection for cost-sensitive systems, while its small size and low power consumption facilitate integration into portable and space-constrained designs. Supporting industrial temperature range of -40° to 85° C, CL-SOM-iMX6UL is an excellent solution for harsh environments and outdoor installations. 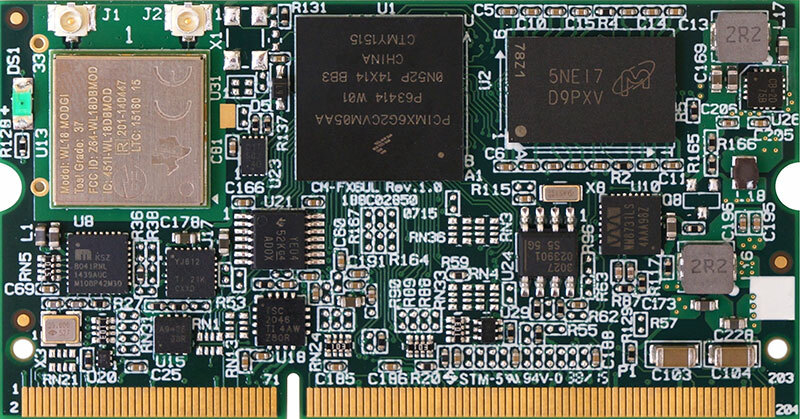 CompuLab supports CL-SOM-iMX6UL with the SB-SOM-iMX6UL carrier-board which has been designed for CL-SOM-iMX6UL evaluation and application development as well as for deployment as a SBC-iMX6UL single board computer. CL-SOM-iMX6UL is provided with comprehensive documentation and full ready-to-run SW packages for the Linux operating system. CL-SOM-iMX6UL will be available in November 2015 through CompuLab’s worldwide distribution channel and through direct sales (www.compulab.com). CL-SOM-iMX6UL will be offered at a variety of configurations starting from $29 for volume orders. Detailed ordering and pricing information is available at CL-SOM-iMX6UL product page. CompuLab is a leading designer and manufacturer of embedded computing products since 1992. CompuLab products are embedded in digital signage, telecommunication systems, automotive devices, gaming systems, medical devices, aerospace and marine systems, and countless other applications. NOTE TO EDITORS: For additional info and high-res product images please refer to the CL-SOM-iMX6UL press kit or visit www.compulab.com.